ENCINITAS — Encinitas is within reach of winning the National Mayor’s Challenge for Water Conservation, a contest taking place this month to see which cities are the most water-wise. Because April 30 is the last day to take part in the contest, to help Encinitas come out on top, city officials are encouraging residents to enter the competition by making an online pledge to conserve water, energy and other natural resources. Residents can visit mywaterpledge.com and promise to convert to low-flow appliances and drought-resistant landscaping. Also, it’s suggested residents stop other wasteful behavior liking hosing down driveways. In addition to the competition, Felice Tacktill, a water conservation specialist with the San Dieguito Water District, offered a host of tips. “There’s big potential for conserving water when it comes to the outdoors,” Tacktill said. With about 60 percent of potable water in Southern California going to landscaping and other outdoor water uses, she recommended that residents take the time once a month to check their sprinkler systems to make sure they’re timed to water in the hours between 6 p.m. and 10 a.m.
And Tacktill said that locals should check for broken sprinkler heads on a regular basis. For those that are working, pointing them in the right direction is critical, otherwise residents risk watering sidewalks and other unnecessary parts of their property. Tacktill said that the district offers a host of programs, rebates and incentives for saving water at sdwd.org/conserve. 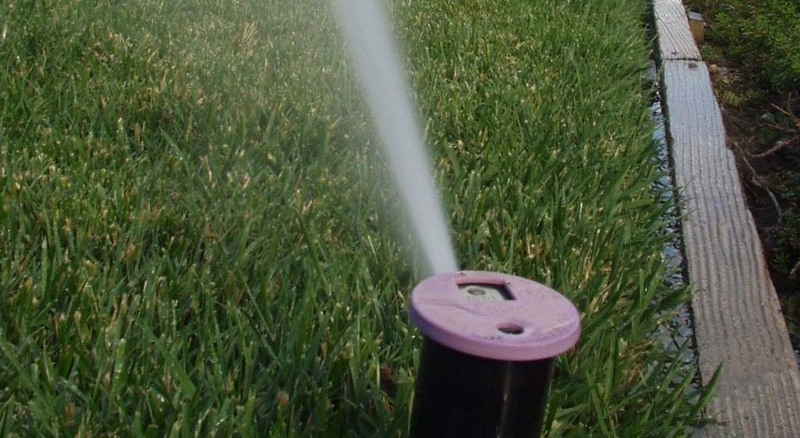 Notably, residents can order high-efficiency sprinkler heads at no cost, as well as take rain-harvesting classes in the fall. She added that residents should think globally in terms of water use. As of Tuesday afternoon, Encinitas is currently in second place for the challenge among cities with a population of 30,000 to 99,000. The city with the largest percentage of residents pledging wins. Residents from winning cities, who pledge, will be entered to win prizes like a Toyota Prius and gift cards from various outlets.